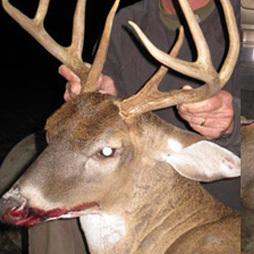 Planning your own hunting trip can be frustrating. You have to find ways to maximize your experience and you may still come home empty-handed. Instead of sweating all the small stuff, you can plan a trip to the Cedar Knoll Hunting Lodge. We offer guided hunting trips for hunters of all skill levels on a piece of land that is entirely private. For more than 30 years, people have been coming to us to experience the best South Carolina has to offer. Whether you have been hunting for years or are a novice hunter who rarely ventures out of your comfort zone, you know that hunting in a new location can be complex. When you come to our lodge for guided hunting trips, you will have complete access to our expert guides. Not only will they be able to take you to the best place to hunt, they will also be able to share tips and tricks that you would not learn on your own. Guests at our lodge can be confident that they are hunting in a game-rich environment where the opportunity for success is the best in the region. While you are staying with us, you will be able to experience the South Carolina’s Lowcountry. Our beautiful area is known for our distinct wildlife, including many white-tail deer. We are located on one of the most intensively managed hunting properties in the region, running an unlimited supplemental feeding program that enables us to raise more deer, wild boar, and bobwhite quail on the area we manage. Furthermore, you will be able to relax in our private lodge, letting you experience nature in a way that you have never thought possible. Contact us today to book guided hunting trips at the Cedar Knoll Hunting Lodge. We cater specifically to people throughout the I-95 corridor. Head on down from the North and have a distinct hunting experience or travel up from the South and have a great time in a cooler environment. We are ready to make your hunting vacation thrilling and fun. All you have to do is book your trip.